 A fantastic opportunity for a Dental Nurse to join a well-established, expanding NHS and private dental practice in Hopton, near Diss. The role of Dental Nurse is to work closely with the dental team to ensure the patient receives a high standard of care. We are looking for a Dental Nurse to join the practice. The ideal applicant will ideally be a qualified dental nurse, although training may be provided for the right candidate. You will be joining our close-knit team within our family run practice. An opportunity for a receptionist to join a well-established, expanding NHS and private dental practice in Hopton, near Diss. The role of Dental Receptionist is to work closely with the dental team to ensure the smooth and efficient running of the whole business. We are looking for a professional front of house receptionist to join the practice. The ideal applicant will have exceptional customer service skills and will ensure that every patient receives excellent patient contact on every occasion. You will be joining our close knit team within our family run practice. We are pleased to announce that Dr Stephen Manson has recently joined the team as a dental associate. Steve has worked in practices in Stowmarket, Felixstowe and Essex and has quickly become an important member of the team and is becoming very well known due to his gentle and professional manner. We are pleased to announce that Dental Hygienist, Gemma Ralfe has joined our team. Gemma runs a hygienist clinic on a Thursday. To book in for a scale and polish please contact the surgery. Further to the press resease issued bu the Hopton and Stanton Surgeries on 26.04.2016. Hopton Dental Surgery and the owners of the premises would like to issue the following statement in response. We are now offering patients a new alternative to traditional orthodontic treatment. For more information on Invisalign teeth straightening please ask any of our team. We are very pleased to announce that our second surgery within the practice building is now up and running. We are delighted to welcome Dr Alexandra Jeffreys to our team. Alex works on Mondays, Wednesdays, Thursdays and Fridays in our new second surgery. Tracey Ramsavas has left our team at the end of January 2016 to work nearer her family in Peterborough.